Morpeth North Residents' Action Group. 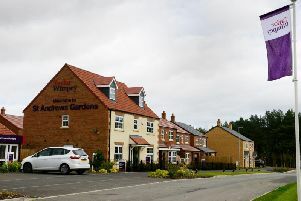 A group of residents is urging planning chiefs to not consider major housing applications in the north of Morpeth until the future development of the town can be fairly assessed. The call comes after work began recently on the Morpeth Northern Bypass and Northumberland County Council announced plans to transform a number of buildings in the town, including County Hall. If these schemes are progressed, the authority’s current headquarters in Loansdean would be converted into an education and leisure hub and a riverside development would be formed near the Telford Bridge. They would have major implications on the town and so the Morpeth North Residents Action Group (MNRAG) believes that the council should take them into account when it comes to planning bids. The group was formed after more than 150 residents in Lancaster Park attended a meeting to voice objections to a proposal by Mitford Estate for up to 400 new homes and a range of other facilities on agricultural land to the west of their properties. A formal application is set to be submitted in the coming months. MNRAG spokesman Peter Burchall said that as well as an overarching core group to manage the opposition, there are three sub groups – technical, planning and finance. He added: “Any further development to the north of Morpeth should not be considered until the impact of the bypass has been assessed. In fact, the Mitford Estate development cannot start until it creates access from the new road. “A complete traffic assessment must include the county council’s plans for County Hall, the schools system and the leisure centre as such relocations would fundamentally change Morpeth and the traffic movements within the town. MNRAG has written to Karen Ledger, head of planning and housing at the county council.